There was final confirmation today that the driving squad for Eclipse Motorsport’s challenge in the 2006 British GT Championship has been confirmed. 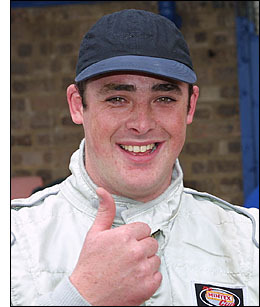 The mercurial Phil Keen remains with the team in 2006, to be joined by the very quick Lee Caroline (right), a recent test confirming to the ex-TVR Tuscan Challenge ace that the Eclipse Mosler was very much to his taste. 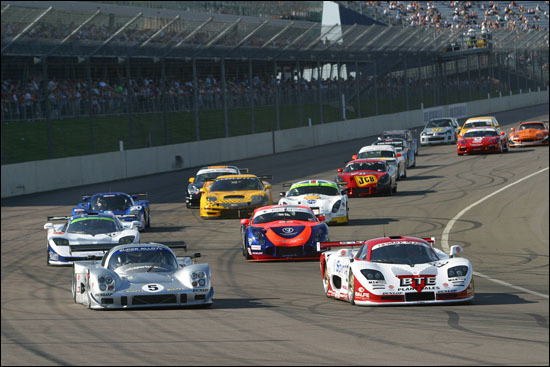 He’s no stranger to big V8 engined GT cars of course, he ran very well indeed aboard Colin Blower’s Ultima at Rockingham back in 2002 (photo). Notice Eclipse's TVR one row back. Phil Keen impressed throughout the 2005 season aboard the Mosler and he’ll be looking for a real title challenge in the coming season. With a Ferrari 430 piloted by Chris Niarchos and Tim Mullen and a Panoz Esperante for Tom Kimber-Smith and Luke Hines in the mix completes a mouth-watering top class trio for the full Championship.